NEW YORK, New York, August 16, 2017 (ENS) – JPMorgan Chase has announced it will source renewable power for 100 percent of its global energy needs by 2020. 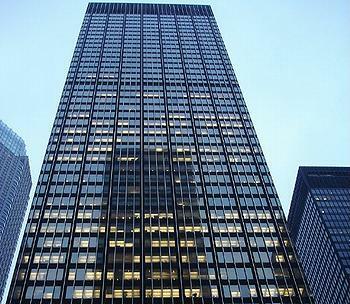 The firm has offices and operations in more than 60 countries across 5,500 properties, covering 75 million square feet. “Business must play a leadership role in creating solutions that protect the environment and grow the economy,” said Jamie Dimon, chairman and CEO of JPMorgan Chase, articulating new strategic goals for the largest bank in the United States. “This global investment leverages the firm’s resources and our people’s expertise to make our operations more energy efficient and provide clients with the resources they need to develop more sustainable products and services,” said Dimon late last month. JPMorgan Chase also is making a commitment to facilitate US$200 billion in clean financing by 2025, the largest commitment to date by a global financial institution. * – Dong Energy, the world’s largest offshore wind farm company, on its US$3.0 billion Initial Public Offering in 2016. The biggest power producer in Denmark, Dong owns power production facilities and projects in Germany, Sweden, The Netherlands, Norway and the United Kingdom. * – Enbridge, the Canadian company that owns and operates the longest crude oil and liquid hydrocarbons transport system in the world, and is part owner of the controversial Dakota Access Pipeline. In 2017, JPMorgan Chase advised Enbridge on its C$2.1 billion partnership with EnBW, a German electric utilities company, about the Hohe See and Albatross offshore wind farms. * – The British company MGT Power Limited for its Teesside Renewable Energy Plant, the largest dedicated biomass project to be built in the UK. The project produces enough energy to power 600,000 homes. 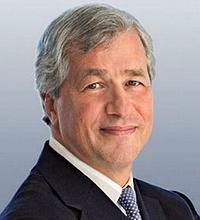 JPMorgan Chase underwrites debt with a sustainable use of proceeds for municipal, corporate and multilateral clients, transactions that totaled nearly $15 billion in 2016. The bank finances and provides risk management solutions for clients’ renewable energy projects and for companies to facilitate innovative energy, technology, transportation, waste management, and water treatment systems, providing nearly $2 billion in tax equity for wind, solar and geothermal projects in 2016. Projects in 2017 include serving as “active bookrunner,” the main underwriter and coordinator on Apple’s $1 billion green bond offering in June. The bonds are dedicated to financing clean energy and environmental projects. Apple issued its first green bond of $1.5 billion, the largest issued by a U.S. corporation, in response to the 2015 Paris agreement. To sustainably power its own locations, JPMorgan Chase said it will install renewable energy technology across buildings and branches, sign Power Purchase Agreements with renewable energy projects and reduce energy consumption. JPMorgan Chase has entered the second phase of an ongoing collaboration with Current, a GE startup subsidiary that sells energy management systems, to install new energy management and digital technologies to boost the energy efficiency of 4,500 Chase branches across the United States. Current’s sensors, software and lighting controls will help Chase branches reduce electric and gas consumption by 15 percent and water from irrigation systems by 20 percent. The first phase of this collaboration included LED lighting installation in 2,500 bank branches, helping to cut Chase’s lighting energy consumption by 50 percent, or the equivalent of taking nearly 27,000 cars off the road. JPMorgan Chase says the company is on target to reach its goal to reduce greenhouse gas emissions 50 percent below 2005 levels by 2020 and continues to offset 100 percent of emissions generated by employee air travel on an annual basis. The bank is also working with Current to pilot an installation of solar panels at Chase branches. Bank officials say JPMorgan Chase is installing on-site renewable energy and developing on-site solar power generation for up to 1,400 bank-owned retail and 40 commercial buildings globally. * – At nearly two million square feet, JPMorgan Chase’s Polaris Corporate Center in Columbus, Ohio is the firm’s largest single-tenant office in the world. The solar installation could comprise up to 20 megawatts (MW) of capacity – enough to power the equivalent of 3,280 homes – to offset 65 percent of on-site power usage. * – Solar installation at the new JPMorgan Chase Legacy West Complex in Plano, Texas, which could provide up to 7 MW of renewable power. * – Piloting an installation of solar panels at Chase branches in California and New Jersey, with plans to introduce solar technology to thousands of other locations. * – Installing large capacity fuel cell technology at the firm’s commercial sites starting at Metrotech Center in Brooklyn, New York and small capacity fuel cells at retail sites. In March 2016, JPMorganChase announced it would stop direct financing of all new coal mines and new coal-burning power plants in wealthy countries. The bank had been one of the top backers of coal-fired power plants. Its earlier limits on coal financing were limited to controversial mountain top mining, where mountain tops are blown away into the valleys below to extract coal. While the bank will maintain corporate lending relationships with big mining groups that produce other commodities including coal, it will not finance new coal-fired power plants in wealthy developed countries.